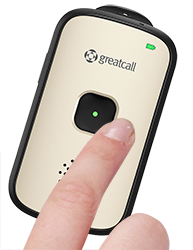 GreatCall 5Star PERS - Cybermation Inc.
An innovative Personal Emergency Response System that goes wherever you go, and is NOW Waterproof! 5Star Urgent Response is a PERS (Personal Emergency Response System) that uses cellular technology to be mobile, which means it can get you help whether you are home or away - as long as you are somewhere there has cell coverage, you are safe! Complete with Nurse Line, Urgent Response, and the ability to directly contact 911, this simple PERS device has you covered no matter what! You’ll enjoy the peace of mind that comes with knowing help is available in any uncertain or unsafe situation. 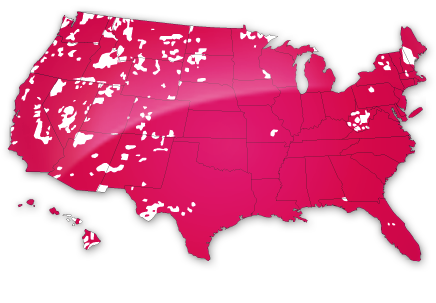 With just a touch of a button, you’ll speak immediately to NAED Certified Response Agents that are 100% U.S. based. After quickly locating you, agents will use information you have provided in your confidential Personal Profile to conference in your emergency contacts, access your medical information, connect you to a live, registered nurse or dispatch 9-1-1 emergency services. Agents will remain on the line with you until your situation is resolved. And, since Agents are available 24/7, they’re a more reliable option than using your cell phone to call a friend or family member who may be unqualified, unavailable or unable to locate you. The 5Star features a high-performance microphone and a speaker that delivers loud, clear sound on one of the nation’s largest and most reliable wireless networks. 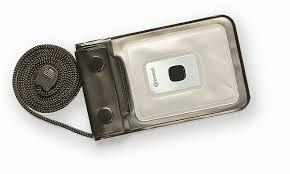 The device easily attaches to key chains, belts and purses, and can be worn around the neck or wrist. The GPS-based Online Locator Service even allows authorized friends or family members to securely and privately locate the device, or anyone carrying the device, using the online web portal. The 5Star also includes our award-winning LiveNurse service, so you can speak to a live, registered nurse 24/7. 5Star Agents utilize patented GPS technology, advanced location training and the “frequent locations” information you’ve provided in your Personal Profile to determine where a user is when they call. GPS-based Online Locator Service for 5Star customers enables authorized users to securely and privately find the device and/or user with the online portal. Agents can dispatch 9-1-1 emergency services, conference in family and friends, and will stay on the line with you until your situation is resolved. To connect directly to 9-1-1 during a critical situation, 5Star users simply press and hold down the Call Button for five seconds. After a 9-1-1 call, a 5Star Agent will follow up with you to make sure your situation is resolved.